For some homeowners who are trying to sell their homes, the process is far more stressful and time consuming than it needs to be. No matter whether they may be offering Denver luxury condos or a starter home in Indianapolis, for those homeowners who are stressed out and having difficulty selling their homes, the troubles can be traced back to making at least one of the three biggest mistakes that home sellers make. Perhaps the single biggest mistake that homeowners make when selling a home is setting the wrong asking price. Despite the advice they are given by their agents, some sellers choose to set a price that is much higher than the market value of the home. By doing this, the seller believes he will add more bargaining room to the price, which will allow him to reduce the price and still get a hefty payment for the house. While this may seem logical, the reality is that setting a price that is too high will do nothing but drive buyers away. Not only will the house be outside of the price range that buyers can afford, but they will also consider you to be an unreasonable or even untrustworthy seller when your price is too high. 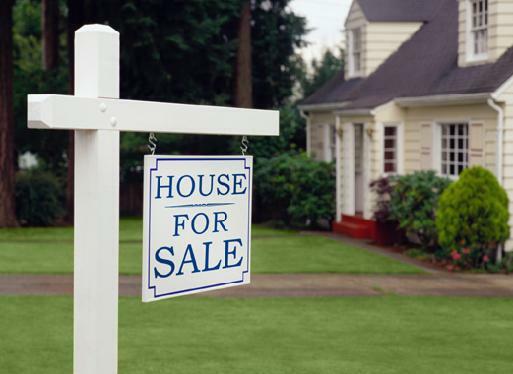 As a result, your house will sit on the market for a very long time before it ever sells. Even if you are willing to sit on your property in order to hold out for a higher price, you will be doing yourself a disservice if you go this route. This is because homes go 'stale' after sitting on the market for too long. When this happens, you will be left with no other choice but to take the home off of the market for a period of time, after which you will inevitably need to set a lower price. So, do yourself a favor and set a reasonable price from the very beginning. When searching for a home, most buyers are not interested in purchasing a home that needs to be repaired or upgraded. Therefore, it is in your best interest to make all necessary repairs and upgrades before you put your home on the market. If you don't, you may have difficulty getting the home sold and you will likely have to come way down on your price. You may even find yourself making repairs as part of your agreement with the buyer, so you can save yourself the trouble and time by taking care of these problems ahead of time. A knowledgeable and experienced real estate agent will create a comprehensive marketing plan that will effectively reach your target market. Therefore, it is important to discuss marketing plans with potential real estate agents before you choose the one you will hire. The best agents will use a variety of different strategies, including online and offline techniques, to reach the broadest range of potential buyers. About The Author - Brian Kinkade specializes in luxury condos, including Walnut Condominiums Boulder, and is acting broker of The Home Cart based in Denver, Colorado. These are really important tips ... in any kind of market, not just the troublesome economy we are currently experiencing. Thanks! Thanks for these tips. My father sold his house this past summer and it went quickly. However, some repairs still had to be made throughout the process.